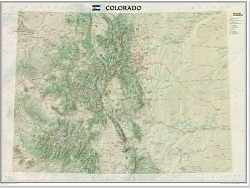 The following categories contain free resources for ColoradoView users, AmericaView participants, and any potential users interested in working with remote sensing and GIS data. Downloadable PDFs and HTML files take users step-by-step through essential remote sensing and GIS functions. Many of the following ColoradoView tutorials were directly funded through AmericaView and created by ColoradoView Student Interns at Colorado State University. Other StateView members offer additional educational resources, including tutorials, learning modules and links to pertinent material outside of the AmericaView partnership. We encourage you to explore all of the educational resources offered by our StateView partners. Several examples are highlighted below. Enjoy! We are housed with the USDA UV-B Monitoring and Research Program at Colorado State University in Fort Collins, Colorado.